Okay I admit that I don’t have too many things to do these days. 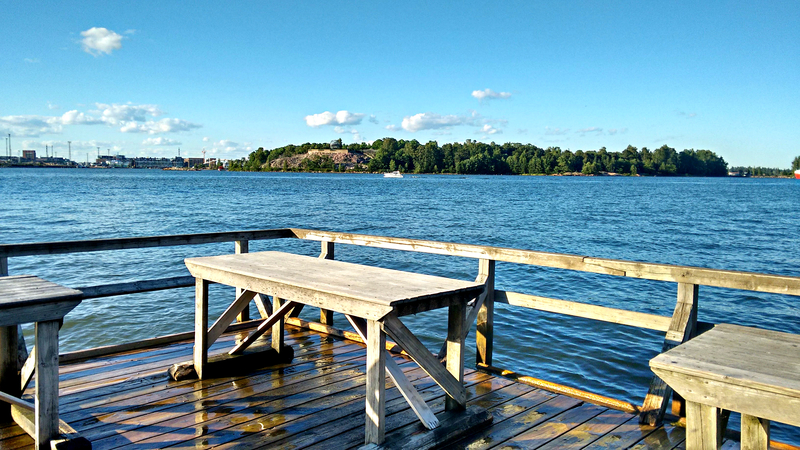 After a brief job search in Helsinki I have almost given up the process as I know I need to learn Finnish first to get a job here and learning Finnish is something I have been procrastinating about for almost four months now. And I don’t see it happening in the month of July as well. Therefore, I have taken up another project to keep myself occupied-to discover the city on foot. August will be the month to take up Finnish for sure. So I couldn’t wait for the month of July to kick in and started on June 28th itself. The first day being a Sunday was a great day to explore the city. Helsinki on a Sunday looks somewhat deserted, specially in the afternoon, and that is when I and my husband love exploring the city. 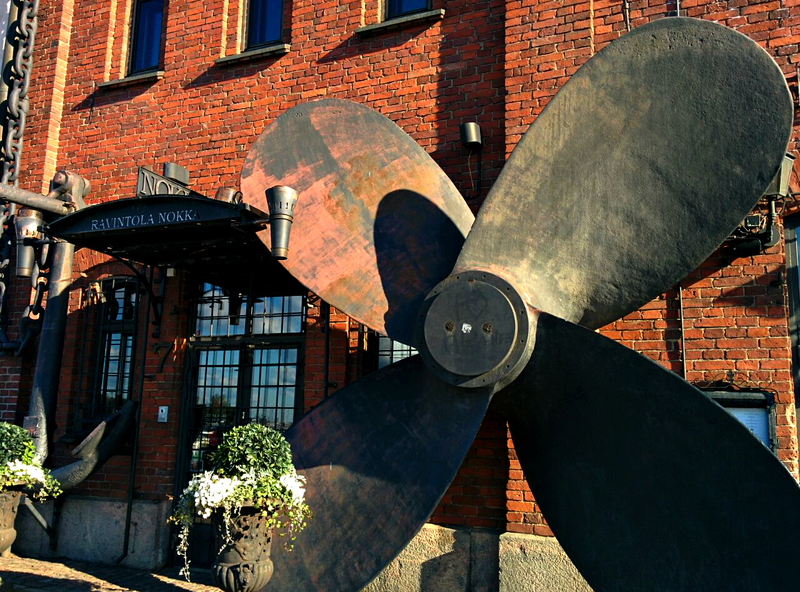 This Sunday, we decided to walk towards the Uspenski Cathedral near Katajanokka. I hadn’t been inside the church before and the solitary Sunday looked like the perfect day to explore it. However, we got carried away upon crossing the bridge towards the cathedral. 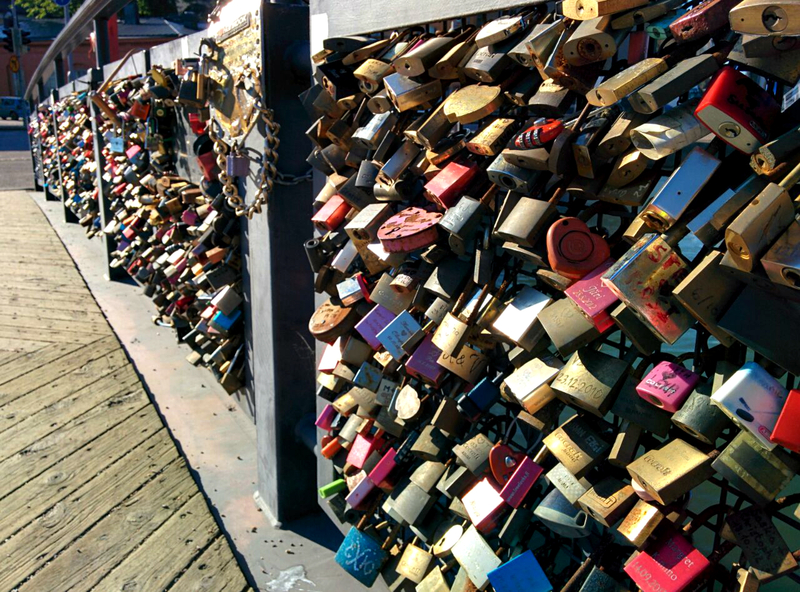 That’s because the bridge looked like the lock & key bridge in Norte Dame of Paris where innumerable people from all over the world lock their wishes in the bridge while throwing their keys to the Seine. Here, the bridge is far smaller and the locks aren’t many in numbers but still it looked pretty and it gave of a Paris like feel. Trailing off we discovered a pretty dock area where private yachts were parked and the view of the city skyline was just amazing. 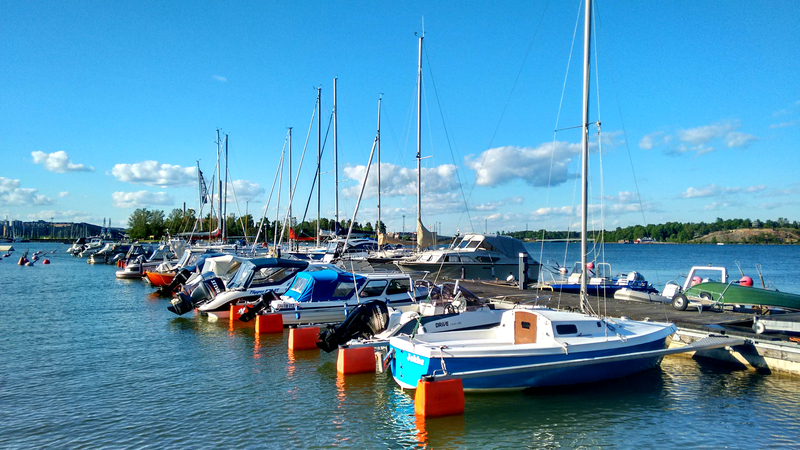 Putting aside our plan of getting inside the church for another day, we followed the dock trail and spent one of the most amazing evenings in Helsinki by simply sitting on a wooden plank and staring at the yachts and the horizon. Technically, the area we explored is an island separated from the mainland by an artificial canal. Everything is so quiet here, the only sound you hear is of the sea and the occasional footsteps of evening joggers. Sheer bliss! The first day of ‘Discovery Helsinki Project’ was, in short, a success. Yay! Here are few cell phone snaps.